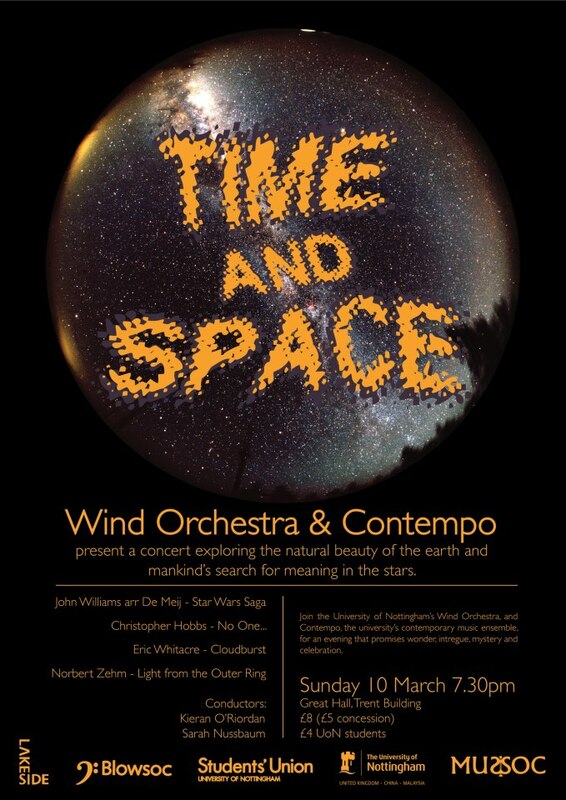 If you’re in Nottingham this weekend, here’s late notice of a concert by the University of Nottingham Wind Orchestra and Contempo New Music Ensemble, on the subject of time and space. Along with Golden Oldies like the Star Wars theme and other family favourites, you’ll be able to hear Christopher Hobbs’ No One May Have the Same Knowledge Again in an entirely new, indeterminate version. Here’s the link to their Facebook announcement: https://www.facebook.com/events/350857671699152/?ref=3 . Previous Previous post: Fizzle this week…. Next Next post: Video: The Sound and the Fury: A Century of Music, especially Episode 3: Easy Listening?